Australia's consumer watchdog has begun legal action against Apple over claims it refused to repair iPads and iPhones previously serviced by third parties. It alleges that Apple made "false, misleading, or deceptive representations" about consumers' rights under Australian law. The case follows complaints that users were "routinely refused" repairs after an error disabled their devices. Apple did not immediately respond to the BBC's request for comment. 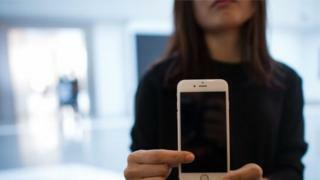 The Australian Competition and Consumer Commission (ACCC) began an investigation after users complained about Apple's so-called "error 53", which disabled some users' devices after they downloaded an update to their operating system. Many had previously had their device fixed by a third party, not an official Apple technician, often to replace a cracked screen. In many cases, Apple refused to fix the devices, even when the repair was unrelated to the fault, the ACCC said. The proceedings against Apple were brought on behalf of 275 consumers. ACCC chairman Rod Sims said: "Consumer guarantee rights under the Australian Consumer Law exist independently of any manufacturer's warranty and are not extinguished simply because a consumer has goods repaired by a third party." He added: "Denying a consumer their consumer guarantee rights simply because they had chosen a third party repairer not only impacts those consumers but can dissuade other customers from making informed choices about their repair options including where they may be offered at lower cost than the manufacturer." He also reminded businesses that consumer rights extended to "any software or software updates" loaded onto those goods. Breaches of Australian Consumer Law can result in fines of up to A$1.1m (£667,000). In February 2016, Apple apologised over similar claims and issued a fix for error 53. Some users found that their iPhone stopped working following servicing by a non-Apple technician and saw an "error 53" message in iTunes. Apple said the error occurred when a device failed a standard security test designed to ensure that the Touch ID fingerprint scanner was working correctly.